Home health care allows many people to continue to live in their home, even as they age. Depending on your needs, they can come in once a day or even stay with you for long periods of time. We offer a variety of services depending on what you would like. Personal care assistance. We are proud to offer many personal care services including bathing, dressing, and bathroom assistance. Medication reminders. Many people struggle to remember to take their medications, which are essential for good health. We can either provide reminders for your medication or we can be there to ensure that you are taking your medications properly. Meal assistance. Nutrition is necessary for good health. We can help you with your grocery shopping and even meal preparation. If needed, we can also feed you meals regularly to ensure that you are eating enough. Laundry. We would be happy to help you sort, wash, fold, and put your clothes away. Housekeeping. Many people struggle to keep their home clean and tidy. 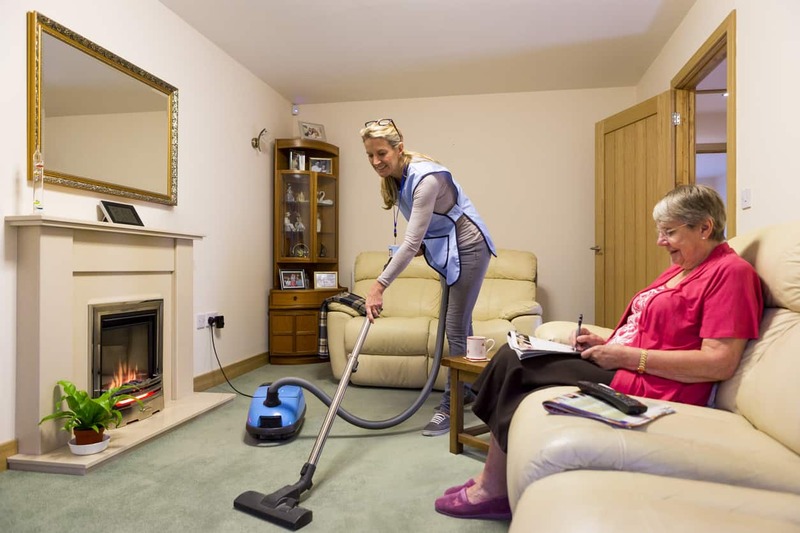 We would be happy to help you with light housekeeping tasks including vacuuming and dusting. Driving. Our caregivers would be happy to drive you to and from your appointments, as well as any errands that you may have. Companionship. Our caregivers would be happy to spend some time with you, whether you just want someone to sit with you or you want someone to play a game with. Whether you need someone to help around the house for a few hours a week or you need someone to help you get your daily bath, we offer many different services to ensure that you get the care that you want and need. Before we start helping you through our services, we will complete an initial assessment to determine what care you need. Don’t hesitate to contact us to see how we can help you have a better quality of life.